An Evening at the Cabaret! This exclusive experience offers a sophisticated entertainment environment combining high-end dining experiences with an innovative live cabaret show. Featuring stars from London’s West-End, original choreography, and premium production values, to present a unique approach within London’s entertainment and night-life scene. This package has exclusive extras, from a five-course gourmet meal to a meet and greet with the shows stars! Whiskey Tasting at Member’s Only Club with Extras, for up to 12 guests! 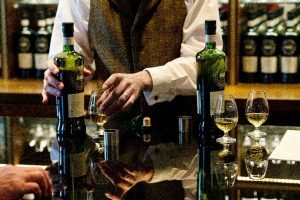 Explore the world’s largest collection of single cask whiskies in the London member’s club. The venue boasts intimacy, comfort and flexibility—making this the ultimate luxury experience for any whisky lover. This package offers a 5-dram whiskey tasting with one of the club’s whiskey ambassador’s, taking you through the unique notes and elements present in each blend.